A Beamformer is a system for acoustic echo cancellation (AEC) and noise reduction (ANR) that combines the input from multiple microphones such that signals coming from a preferred direction are added constructively, while those coming from other directions are combined diffusively or destructively. The spatial arrangement of these microphones can vary widely according to the specific application, but for mathematical simplicity a linear array of equally spaced microphones is often assumed. This effect can be mimicked with a spacing of 4cm by increasing the number of microphones. These sidelobes are also called grating lobes, and are a result of the extra distance to the farthest microphones being close to multiples of the signal wavelength. In this case, the beamformer essentially receives an extra copy of the signal at the center of the array, thereby correlating the outputs of the microphones. 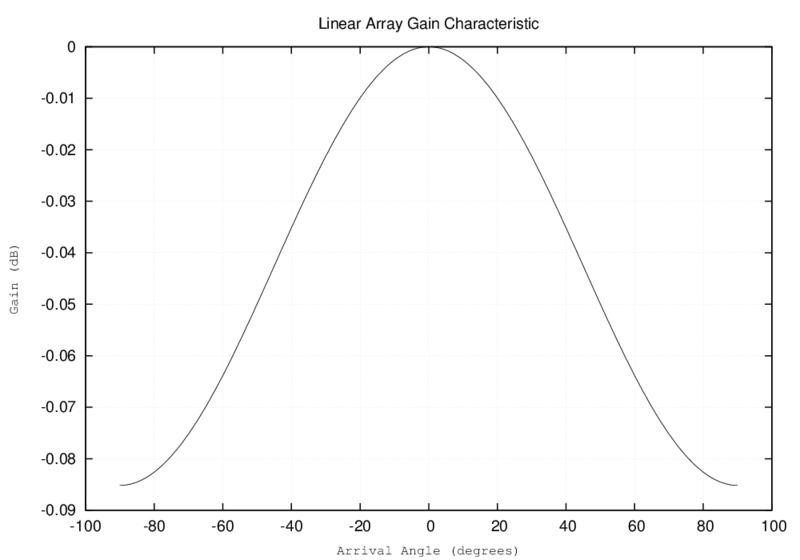 From this point, it is clear how changing the frequencies of interest will similarly effect the performance of the array. What is not so intuitive is how more complicated geometries may impact the performance of your beamformer. For a highly dynamic speech environment, the most obvious modification to GSC is to make the blocking matrix adaptive, which will allow the beamformer to be steered according to how the signal of interest is moving. 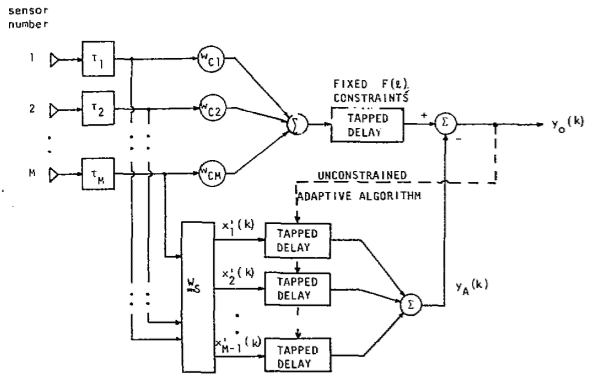 While this gives us a very general algorithm, for other applications such as car interior acoustics, the positions of the sources will be fixed and thus this modification might introduce unnecessary computational overhead. 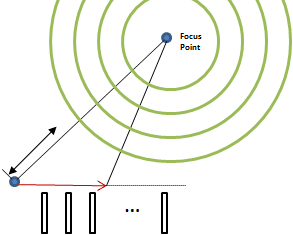 Beamforming can be applied to Blind Signal Separation to greatly improve the Signal to Noise Ratios. Similarly, Acoustic Echo Cancellers can benefit from having a Beamformer on the front end, while Beamformers can benefit from having Acoustic Echo Cancellers on their front ends. Beamforming is becoming increasingly important as a mechanism for the incorporation of 3D sound into holography and as a safer alternative for use in medical scanning technologies. E. Hansler, G. Schmidt, “Beamforming,” in Acoustic Echo and Noise Control A Practical Approach. 1st ed. Hoboken, NJ: John Wiley & Sons, Inc., 2004, ch. 11, pp. 267 – 295. 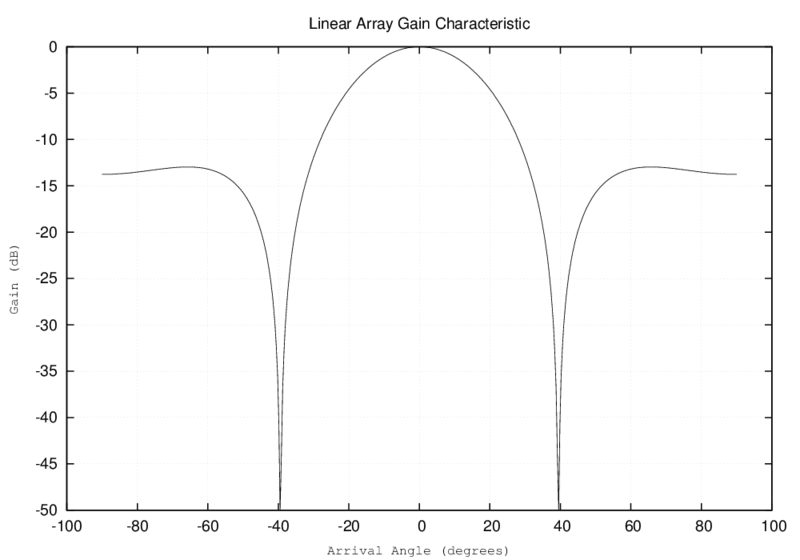 L. Griffiths, C. Jim, “An Alternative Approach to Linearly Constrained Adaptive Beamforming”, IEEE Transactions on Antennas and Propagation, vol. 30, no. 1, Jan 1982.